The moral issue, which encompasses the driving force behind punishment, is based on the concept of revenge. Human development and progress has not impeded the base and animalistic feeling of revenge. Most religions have yielded to the pressures of the community to accept the barbaric theory of ‘Tooth for a Tooth’ and ‘Blood Money’ which has governed barbaric societies from prehistoric times. Shan Wijayalal de Silva, a one-time student activist and government servant, entered politics after contesting the crucial Southern Provincial Council (SPC) election in 1993 under the People's Alliance. He earned his political reputation after serving the people through his own initiatives and climbed the ladder of politics through his commitment and dedication to serve his party and the people. TORONTO, Canada: Tired of being on the receiving end of human rights concerns by Washington, Iran has responded with its own scathing report on rights violations by the United States. At the same time, a few Western countries are using all their might for a regime change in Sri Lanka. 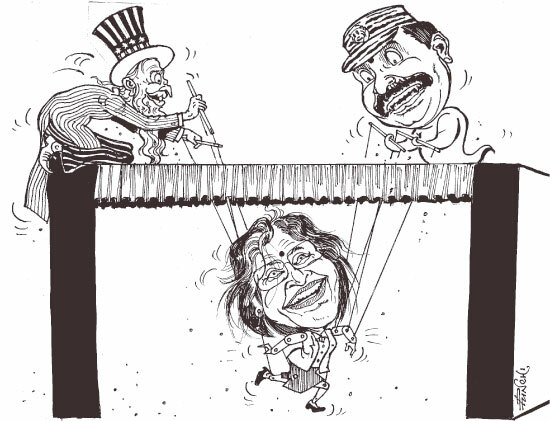 All what they want is a Sri Lankan political leadership that dances to the melody of the West. Though they bring human rights as a tool to achieve their goals, they would opt even for a regime with the worst human rights record, as far as it says hosannas to the West. Hence, the agenda of the West is crystal clear.